This article is about the city in England. For other uses, see Ripon (disambiguation). Ripon is the third smallest city in England by population. According to the 2011 United Kingdom Census it had a population of 16,702, an increase on the 2001 United Kingdom Census figure of 15,922. It is located 11 miles (18 km) south-west of Thirsk, 16 miles (26 km) south of Northallerton and 12 miles (19 km) north of Harrogate. As well as its racecourse and cathedral, Ripon is a tourist destination because of its close proximity to the UNESCO World Heritage Site which consists of the Studley Royal Park and Fountains Abbey. During its pre-history the area which later became Ripon was under the control of the Brigantes, a Brythonic tribe. Three miles (5 km) north at Hutton Moor there is a large circular earthwork created by them. The Romans did not settle Ripon, but they had a military outpost around five miles (8 km) away at North Stainley. Solid evidence for the origins of Ripon can be traced back to the 7th century, the time of the Anglian kingdom of Northumbria. The first structure built in the area, known at the time as Inhrypum, was a Christian church dedicated to St. Peter, with the settlement originating in the year 658. This was founded by a Northumbrian nobleman known as Wilfrid, who later became Archbishop of York; he was granted the land by King Alhfrith. The earliest settlers were stonemasons, glaziers and plasterers that Wilfrid brought over to help construct the Ripon monastery, from Lyon in Francia and Rome which was then under Byzantine rule. The years following the death of Wilfrid are obscure in Ripon's history. After the invasion of the Great Heathen Army of Norse Vikings in Northumbria, the Danelaw was established and the Kingdom of Jórvík was founded in the Yorkshire area. In 937 Athelstan, then King of England, granted the privilege of sanctuary to Ripon, for a mile around the church. One of his successors was less well-disposed: after the Northumbrians rebelled against English rule in 948, King Edred had the buildings at Ripon burned. Prosperity was restored by the end of the 10th century, as the body of Saint Cuthbert was moved to Ripon for a while, due to the threat of Danish raids. After the Norman conquest, much of the north rebelled in 1069, even trying to bring back Danish rule; the suppression that followed was the Harrying of the North, which resulted in the death of approximately one-third of the population of the North of England. Ripon is thought to have shrunk to a small community around the church following the suppression. The lands of the church were transferred to St. Peter's Church at York as the Liberty of Ripon and it was during this time that a grand Collegiate Church was built on top of the ruins of Wilfrid's building. Eventually developed in the Gothic style, the project owed much to the work of Roger de Pont L'Evêque and Walter de Gray, two Archbishops of York during the Plantagenet era. During the 12th century Ripon built up a booming wool trade, attracting Italian trade merchants, especially Florentines, who bought and exported large quantities. Ripon's proximity to Fountains Abbey, where the Cistercians had a long tradition of sheep farming and owned much grazing land, was a considerable advantage. After English people were forbidden from wearing foreign cloth in 1326, Ripon developed a cloth industry which was third in size in Yorkshire after York and Halifax. Due to conflict with Scotland, political emphasis was on the North during the time of Edward I and Edward II, as Scottish invaders attacked numerous northern English towns. Ripon had a wakeman to make sure the residents were safely home by curfew and law and order was maintained, yet it was forced to pay 1,000 marks to the Scots to prevent them from burning down the town on one occasion. Ripon, which relied heavily on its religious institutions, was badly affected by the English Reformation under the Tudor king Henry VIII. The Abbot of Fountains, William Thirske, was expelled by Henry and replaced; Thirske went on to become one of the leaders of the Pilgrimage of Grace popular rising. The people of Northern England were quite traditional in their beliefs and were unhappy about Henry's intention to break with Rome; the Pilgrimage of Grace was the manifestation of this sentiment. The revolt failed and Henry followed through with the break from Rome and the Dissolution of the Monasteries, which included Fountains Abbey. After Mary, Queen of Scots, fled Scotland to Northern England she stayed at Ripon on her journey. 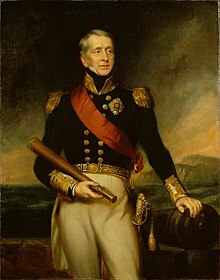 The mainly Catholic North supported her, and there was another popular rising known as the Rising of the North; this began six miles (10 km) away at Topcliffe and was led by Thomas Percy, the 7th Earl of Northumberland and Charles Neville, the 6th Earl of Westmorland. The rebels stayed at Ripon on 18 November 1569, but the rising eventually failed resulting in 600 people being executed, 300 of whom were hanged at Gallows Hill in Ripon during January 1570. Plans were drawn up to make Ripon a centre of education, a University of the North, to rival Oxford and Cambridge. Although chief advisers Lord Burghley and Archbishop Sandys supported the idea, Elizabeth I did not follow it through. Ripon replaced its old textiles industry with one for the manufacture of spurs during the 16th century. They were so widely known that they gave rise to the proverb "as true steel as Ripon Rowels". At the time, spurs did not just serve as functional riding accessories, they were also fashionable; an expensive pair was made for King James I when he stayed at Ripon in 1617. It was James who granted Ripon a Royal Charter in 1604 and created the first Mayor of Ripon. After the Bishops' Wars in Scotland, a treaty was signed at Ripon in 1640 to stop the conflict between Charles I and the Scottish Covenanters. Although Ripon was not in the main line of fighting which was to the east, it remained loyal and royalist during the English Civil War. There was an incident in 1643, when parliamentarian forces under Thomas Mauleverer entered Ripon and damaged the Minster, but John Mallory and the royalist forces soon settled the matter after a skirmish in the Market Place. The royalists were eventually defeated in the Civil War and Charles I spent two nights as a prisoner in Ripon. Oliver Cromwell visited the city twice on his way to battle, once on the way to the Preston and also on the way to the Battle of Worcester. By the time of the English Restoration, several strains of non-conformist Christian practices had appeared, although they were not common in Ripon, the majority of people being Anglicans with a Catholic minority. After the Revolution of 1688 which overthrew James II, there were Jacobite risings in the British Isles; some Riponmen were jailed in February 1746 upon "suspicion of corresponding with Prince Charles Edward Stuart". The founder of Methodism, John Wesley, preached in Ripon and a small community of followers was established. During the Georgian era Ripon, unlike several other cities, was not significantly affected by the Industrial Revolution despite the existence of various guilds. Although more widely known for his activities outside of Ripon, John Aislabie, during his time as Member of Parliament for Ripon, created the Studley Royal Park with its water garden and erected the obelisk (designed by Nicholas Hawksmoor). Newby Hall was also created during this period by Christopher Wren. Communications were improved with the opening of Ripon railway station in May 1848. During the First World War a large military training camp was built in Ripon, the local community offering hospitality not only to soldiers' wives but to the Flemish refugees who became part of Ripon's community. The racecourse south-east of the city also served as an airfield (RFC Ripon) for the Royal Flying Corps (and latterly, the Royal Air Force). The racecourse was also used as a demobilisation centre for troops returning from France well into 1919. The town had a similar though smaller role during the Second World War and, in recognition of this, the Royal Engineers were presented with the Freedom of the City in 1947. Since the War, Ripon has gone through some remodelling and has grown in size; it attracts thousands of tourists each year who come to see its famous buildings with their long Christian heritage, nearby Studley Park, Ripon Racecourse, and in recent times the theme park Lightwater Valley. Ripon was the first Church of England diocese to be created after the English Reformation, as it was recognised that existing dioceses were unsuited for the large increases in population caused particularly by the Industrial Revolution of the 18th century in central England. It was deemed that new cathedral building on a national scale was not viable and so Ripon, containing a high status parish church, was created from the existing Chester and York dioceses in 1836, with the building promoted to cathedral status. Ripon council presumed this had elevated the town to the rank of city, and started referring to itself as such. The next diocese Manchester was promoted similarly, but doubts as to its use of the title were raised. With the subsequent clearer understanding of needing to petition the monarch, Manchester did so and obtained the status in 1853. Ripon was encouraged to follow suit, with its own status being recognised by the parliamentary City of Ripon Act in 1865. In 1974 Ripon borough (see Governance) was abolished and a parish council established as part of wider local government reform. The award of city status is typically granted to a local authority, whose administrative area is then considered to be the formal borders of the city, the grant in this case being removed at the same time and bestowed onto the parish. By this definition, the whole parish council area of Ripon, including its settlement and surrounding rural area containing a tiny portion of the Nidderdale AONB to the north west, is considered to be the limits of the city. It contains the third lowest population of all the cities in England, however it falls to seventh place when taking the whole of the UK into consideration. Ripon has the third smallest city council area but the fourth lowest urban area of any city in England. 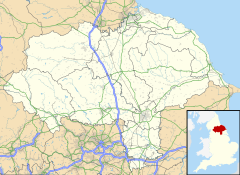 Ripon became a municipal borough of the West Riding of Yorkshire in 1835, remaining so until 1974. That year, following the Local Government Act 1972, the former area of Ripon borough was merged with Harrogate borough and several rural districts of the West Riding to form an enlarged Harrogate borough in the ceremonial county of North Yorkshire. The lowest tier of governance in Ripon is the Ripon City Council, a parish council with twelve members, three for each of four wards. In 2019, four councillors are Conservative, and the rest are independent. Ripon was represented by the Member of Parliament for Yorkshire until it had its own parliamentary borough established on a permanent basis in 1553. Ripon was able to elect two MPs to represent its parliamentary borough; the right of election was vested not in the population as a whole, but in the burgesses (originally meaning freemen of the borough or freeholders) until the Great Reform Act of 1832. The next Reform Act which came into force at the 1868 election, reduced Ripon's representation from two MPs to one. Some of the more notable MPs of Ripon were John Aislabie, Frederick John Robinson and George Cockburn. The Reform Act of 1885 abolished the borough of Ripon, but the county constituency in which the town was placed as a result was named Ripon, and this continued as a single member constituency, albeit with some boundary changes, until it was abolished before the 1983 general election. Since 1983, Ripon has been part of the Skipton and Ripon constituency, a Conservative Party stronghold. 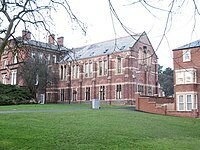 Ripon is home to Ripon Grammar School which is a selective intake, state secondary school. The school claims to take roots from the school which was attached to the Collegiate Church, founded during the time of the Angle kingdom of Northumbria by Saint Wilfrid. The refoundation date for the school was during the reign of Queen Mary I in 1555. The school has several notable alumni, known as Old Riponians, including theologian Bishop Beilby Porteus, historian Bishop William Stubbs, fashion designer Bruce Oldfield and television presenter Richard Hammond. In the modern day the school hosts around 800 pupils, gaining engineering status in 2006, it receives favourable reports from the Ofsted falling from "outstanding" to "good". Opposite Ripon Grammar on Clotherholme Road is the non-selective Outwood Academy Ripon (formerly Ripon College, a secondary comprehensive school), which was also known as Ripon City School until 1999. It has around 630 pupils and is exceeding the national average of GCSE and A-Level results. On the site of the Old Ripon Racecourse in Whitcliffe Lane was St Olave's Preparatory School. This site was taken over by an independent co-ed preparatory school founded in 1960 called the Cathedral Choir School. The choir school closed in 2012 and the site has now had approval for the building of new residential dwellings. Ripon previously had higher education facilities in the form of the College of Ripon and York St John until 2001. This college had its roots in two Anglican teacher training colleges, which were founded in York in 1841 for men and 1846 for women. The women's college moved to Ripon in 1862. Over the next century, the colleges gradually diversified their education programmes. The colleges merged in 1974 to form the College of Ripon and York St John. The combined institution became a college of the University of Leeds in 1990. Between 1999 and 2001, all activities were transferred to York and the college received the name York St John University. Christianity is the largest religious affiliation in Ripon; 79.3% of the people in the area polled as part of the United Kingdom Census 2001 professed the Christian faith. Ripon Cathedral is the main religious building in the city and contains a tomb said to contain the bones of Saint Wilfrid who founded a monastery here and with it the town. The Venerable William Gibson is another noted local figure, a Catholic martyr who was one of the eighty-five martyrs of England and Wales. The Church of England is in the majority, with two parishes: the ancient Ripon Cathedral and Holy Trinity Church. Ripon is the episcopal see of the Diocese of Ripon and Leeds represented by the Bishop of Ripon and Leeds, created in 1836 with just Ripon in its title but adapted to include Leeds in 2000. During the time of the kingdom of Northumbria there was a short-lived Diocese of Ripon, with Eadhedus the only bishop. There is a Roman Catholic parish in Ripon called St. Wilfrid's; it is covered by the Diocese of Leeds in the Harrogate deanery and the church is an architecturally significant building. There are also around two places of worship for Methodism in Ripon. Market day is held on a Thursday, and there are 120 stalls. In celebration of the city's founder the Wilfrid Procession is held every year; it originated in the year 1108 when king Henry I granted the privilege of holding a fair for him. At the procession there are various decorated floats which make their way through the city with locals in costume. Part of the tradition represents the return of Wilfrid to Ripon, a decorated dummy (sometimes a man in costume instead) dressed as Wilfrid is sat on a horse, accompanied by two musicians with another man carrying St Wilfrid's hat around. Ripon also has dancing traditions such as the Long Sword dance and Morris dance. The tradition of the Ripon Hornblower has endured since the year 886 and continues on to this day. It originates with the wakeman of Ripon, whose job in the Middle Ages was similar of that to a mayor although he had more responsibilities in the keeping of law and order. 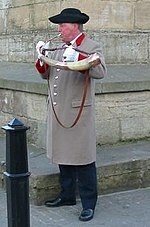 Every day at 9:00 pm the horn is blown at the four corners of the obelisk in Ripon Market. The horn has become the symbol of the city and represents Ripon on the Harrogate borough coat of arms. There are three museums in Ripon collectively known as the Yorkshire Law and Order Museums; it includes the Courthouse, the Prison and Police and the Workhouse Museums. In terms of sport, the most noted field of participation is horse racing with the Ripon Racecourse. The sport has a long history in Ripon, with the first recorded meeting on Bondgate Green in 1664, while its current location has been used as a racetrack since 1900. Ripon staged Britain's first race for female riders in 1723. The city is also home to Ripon Rugby Union Football Club who were founded in 1886 and currently play in Yorkshire 2, the eighth tier of the English Rugby Union league. The city was previously served by Ripon railway station on the Leeds-Northallerton Line that ran between Leeds and Northallerton. It was once part of the North Eastern Railway and then London & North Eastern Railway. The Ripon to Harrogate Line was closed in the 1960s as part of the Beeching cuts. Today much of the route of the line through the city is now a relief road and although the former station still stands, it is now surrounded by a new housing development. The issue remains a significant one in local politics and there are movements wanting to restore the line. Reports suggest the reopening of a line between Ripon and Harrogate would be economically viable, costing £40 million and could initially attract 1,200 passengers a day, rising to 2,700. By road Ripon is well connected; it is accessible from the north and south via the A1(M) motorway which connects to Ripon by the B6265. Ripon is accessible from the east and west via the A61 which is the main road running through the city. Harrogate Bus Company's route 36 links the city to Harrogate and Leeds, and there are also regular bus routes to Boroughbridge, York, Thirsk, Northallerton, Leyburn, Richmond and others. The Ripon Canal was proposed by John Smeaton in 1766, to connect the city centre to part of the River Ure; it was used for the transportation of coal from the Durham coalfields into the city. Although abandoned in 1956, a conservationist campaign saw it partly reopened in 1988, and fully in 1996. ^ a b UK Census (2011). "Local Area Report – Ripon Parish (1170217073)". Nomis. Office for National Statistics. Retrieved 7 January 2019. ^ "Ripon". www.yorkshireguides.com. Retrieved 19 April 2016. ^ UK Census (2001). "Local Area Report – Ripon Parish (1543510418)". Nomis. Office for National Statistics. Retrieved 7 January 2019. ^ a b Thomson 1978, p. 13. ^ a b Thomson 1978, p. 14. ^ Thomson 1978, p. 17. ^ "Ripon History". Ripon.org. Retrieved 1 February 2009. ^ "Ripon". Wilfrid.com. Retrieved 1 February 2009. ^ a b c Thomson 1978, p. 19. ^ "About Ripon". Discover Ripon. Ripon City Council. Retrieved 26 November 2013. ^ Thomson 1978, pp. 19–20. ^ a b Thomson 1978, p. 20. ^ a b c d Thomson 1978, p. 43. ^ a b Thomson 1978, p. 60. ^ Thomson 1978, pp. 73–74. ^ a b c d e f Thomson 1978, p. 74. ^ a b c d e f Thomson 1978, p. 75. ^ Thomson 1978, p. 45. ^ "Ripon". Old Towns of England. Retrieved 1 February 2009. ^ a b c "Ripon Timeline". VisitRipon.org. Retrieved 1 February 2009. ^ Thomson 1978, pp. 75–76. ^ Thomson 1978, p. 76. ^ Thomson 1978, pp. 76–77. ^ "Engineering timelines". engineering-timelines.com. Retrieved 24 January 2011. ^ Thomson 1978, p. 46. ^ Thomson 1978, p. 107. ^ Delve, Ken (2006). Northern England : Co. Durham, Cumbria, Isle of Man, Lancashire, Merseyside, Manchester, Northumberland, Tyne & Wear, Yorkshire. Ramsbury: Crowood. p. 302. ISBN 1-86126-809-2. ^ Barker, Malcolm (5 April 2013). "March of history as city gets ready to say another goodbye". Th Yorkshire Post. Retrieved 14 March 2018. ^ Thomson 1978, p. 108. ^ Bond, Chris (7 February 2016). "Yorkshire's cathedrals in need of divine intervention as running costs spiral". The Yorkshire Post. Retrieved 10 February 2018. ^ "Angry Birds sparks tourism boost hope". BBC News. 21 May 2013. Retrieved 10 February 2018. ^ a b Beckett, John (5 July 2017). "City Status in the British Isles, 1830–2002". Taylor & Francis. ^ Hopkinson, Michael (2014). Yorkshire market towns : not just for shopping : a research survey by PLACE. York: People, Landscape & Cultural Environment Education and Research Centre. p. 20. ISBN 978-1-906604-49-3. ^ "Ripon". Visions of Britain. Archived from the original on 26 October 2012. Retrieved 28 March 2016. ^ "Electoral Boundaries". Harrogate.gov.uk. Archived from the original on 28 July 2009. Retrieved 1 February 2009. ^ a b "City Councillors". Ripon City Council. Retrieved 22 January 2019. ^ a b c d "Cobbett's Parliamentary History". Oxford Digital Library. Archived from the original on 4 September 2015. Retrieved 1 February 2009. ^ a b "Skipton and Ripon". UKPolingReport.co.uk. Retrieved 1 February 2009. ^ Smithers, Rebecca (11 March 2000). "Parents vote to retain Ripon grammar school". The Guardian. London. Retrieved 1 February 2009. ^ a b c "A short history of Ripon Grammar School". Ripon Grammar School. Retrieved 1 February 2009. ^ "Specialist Engineering Status". Ripon Grammar School. Archived from the original on 1 March 2009. Retrieved 1 February 2009. ^ "Ripon Grammar School – Inspection Report (2005)". Ofsted.gov.uk. Retrieved 9 January 2010. ^ "BBC NEWS | Education | League Tables | Ripon College". BBC News. 15 January 2004. Retrieved 25 January 2018. ^ Ruiz, Karen (18 August 2016). "Outwood Academy Ripon Sixth Formers celebrate A-level results success". Harrogate Advertiser. Retrieved 25 January 2018. ^ "About the Academy - Outwood Academy Ripon". www.ripon.outwood.com. Retrieved 25 January 2018. ^ Nelson, Barry (24 December 2013). "Two heads agree that local parents have no need to look elsewhere". The Northern Echo. Retrieved 25 January 2018. ^ "A Tale of Two Schools". Ripon Civic Society. Retrieved 7 February 2018. ^ "Ripon Cathedral Choir School forced to shut". Classical-music.com. BBC. 24 July 2012. Retrieved 7 February 2018. ^ a b c d "History". York St. John University. Archived from the original on 6 December 2009. Retrieved 9 January 2010. ^ Herbermann, Charles, ed. (1913). "English Confessors and Martyrs (1534–1729)" . Catholic Encyclopedia. New York: Robert Appleton Company. ^ a b "Church of England: Diocese of Ripon and Leeds". AnglicansOnline.org. Retrieved 1 February 2009. ^ "Ripon, North Yorkshire". Riponnor. Retrieved 1 February 2009. ^ "Churches in Ripon". GENUKI.org.uk. Retrieved 1 February 2009. ^ "Places of Worship in Ripon". Yell.com. Archived from the original on 4 September 2015. Retrieved 1 February 2009. ^ "Ripon Market". Information-Britain.co.uk. Retrieved 18 August 2015. ^ a b "Custom and Tradition". Ripon.co.uk. Retrieved 1 February 2009. ^ "Sun shines on crowds and floats at 'magnificent' St Wilfrid's procession". Ripon Gazette. Retrieved 1 February 2009. ^ "The St Wilfrid's Tradition". Ripon-Internet.com. Archived from the original on 15 July 2011. Retrieved 1 February 2009. ^ Pickles, George. "Ripon's hornblower". BBC. Retrieved 30 June 2017. ^ "Customs & Traditions". VisitRipon.org. Retrieved 1 February 2009. ^ "Ripon Hornblower" (PDF). VisitRipon.org. Retrieved 1 February 2009. ^ "Yorkshire Law and Order Museums". RiponMuseums.co.uk. Retrieved 1 February 2009. ^ a b "Ripon Races". VisitRipon.org. Archived from the original on 12 October 2008. Retrieved 1 February 2009. ^ a b c "Reopening line makes economic sense, says study". Northern Echo. Archived from the original on 2 January 2010. Retrieved 1 February 2009. ^ a b "Backing for restoring rail link". BBC News Online. BBC. 11 May 2004. Retrieved 4 January 2010. ^ a b "How to Get Here". VisitRipon.org. Retrieved 1 February 2009. ^ "Bus services in Ripon". GetDown.org.uk. Retrieved 2 July 2016. 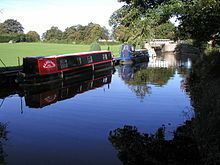 ^ "Ripon Canal". WaterScape.com. Canal and River Trust. Retrieved 13 May 2016. ^ "British Towns Twinned with French Towns:". France. Archant Life. 2006. Retrieved 7 March 2012. Ellis, Edna (1986). A Ripon Record, 1887–1986. Phillimore & Co Ltd. ISBN 0-85033-600-7. Ordnance Survey (2003). Northallerton and Ripon: Pateley Bridge and Leyburn. Ordnance Survey. ISBN 0-319-22699-9. Thomson, Celia (1978). The Book of Ripon; an Historical Anthology. Chesham: Barracuda Books. ISBN 0-86023-041-4. Wikivoyage has a travel guide for Ripon.